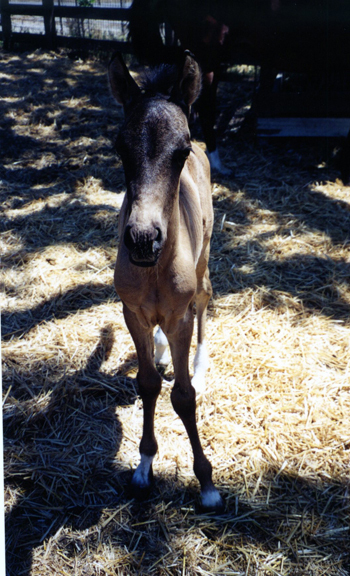 Tecolote: The Little Horse That Could, the story of a premature baby horse born on a freezing night, is heartwarming and delightful. The book continues to charm readers. More than that: Tecolote has now won three national awards. Winner: 2011 Silver Nautilus Award for Children’s Nonfiction (Gr. 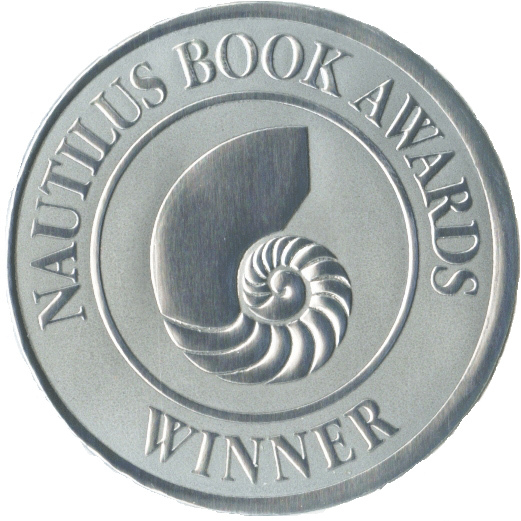 1-6) The Nautilus Award recognizes books, audio books, and e-books that promote spiritual growth, conscious living and positive social change. The Nautilus Award recognizes distinguished contributions in adult, young adult, teen, and children’s literature. Previous winners include Thich Nhat Hanh, Eckhart Tolle, and His Holiness the Dalai Lama. Amazon Kindle A thrifty 99 cents, instantly available. Life is a trip. Two days ago, I was notified that my book, Tecolote: The Little Horse That Could, had won the 2011 Silver Nautilus Award for Children’s Nonfiction (grades 1 – 6). I was ecstatic. Winning is always fun, but this was more than that. 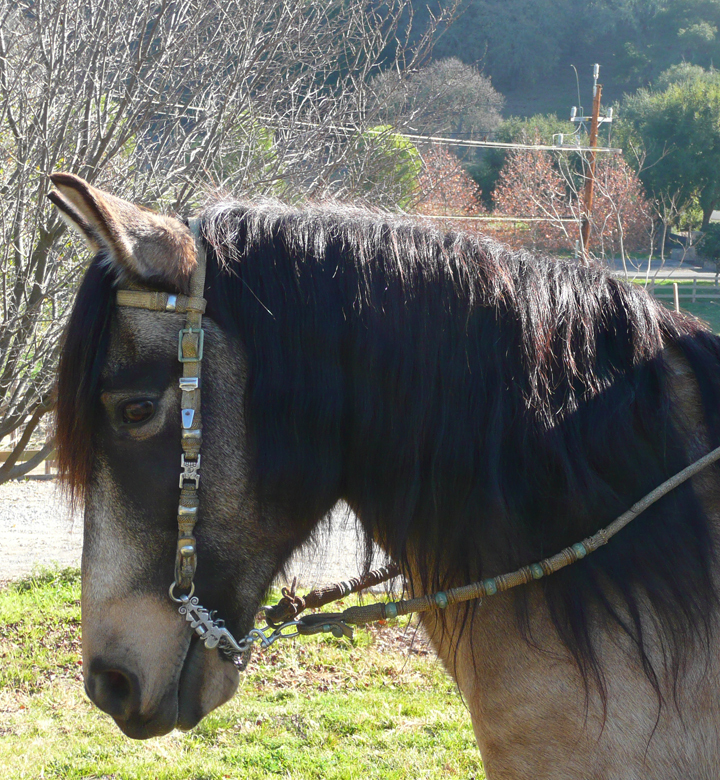 Teco and I have bonded; he’s my boy and my personal riding horse. His lovely essence is entwined with mine. The day after receiving the award, my vet told me that Tecolote would never be ridden again, in fact, he might die. I’m reeling. I can’t make sense of it. Teco got pneumonia a week or so ago. Out of the blue. I think the very strange weather we’ve been having––rainy and cold one day, 88 degrees the next, back to rainy and cold––triggered it. He was a very sick horse. I’ve not seen a sicker horse. I won’t describe it, because it was awful. But Teco didn’t get better, or all the way better. The vet gave him another course of antibiotics and did an ultrasound of his lungs. Definitely pneumonia. Not all gone. It should have been gone. He stopped eating, even fresh grass. Weight was falling off of him. Barry went down to feed one morning found him down on the ground. Teco wouldn’t get up. He called me, but the horse had gotten up by the time I reached the pasture. 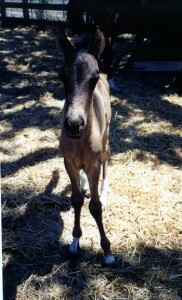 The same pasture in which he was born that cold night ten years before. “He’s OK,” Barry said. 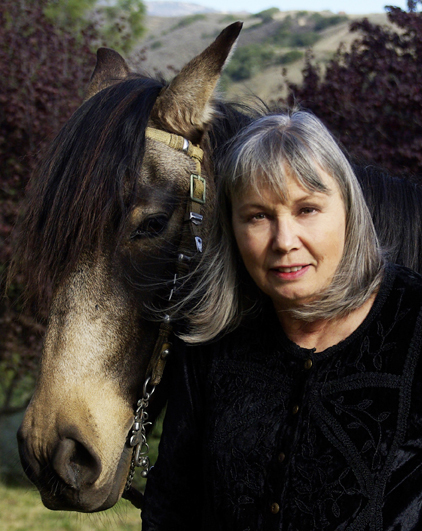 The horse was nibbling on pasture grass. 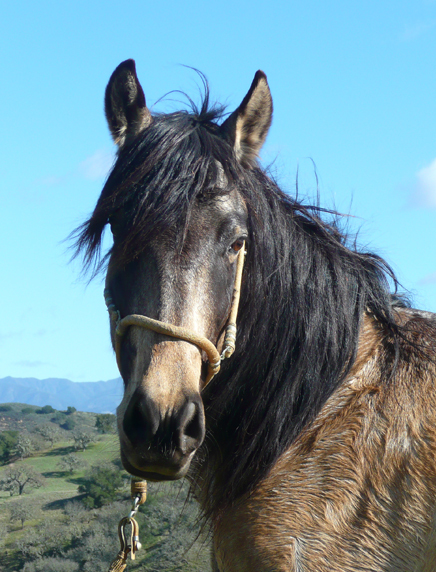 He was OK.
Later, I found him in the corner of his pasture, head down, lipping at dirt (despite grass all around). Looking so dejected. Kicking at his belly now and again like he was colicky. 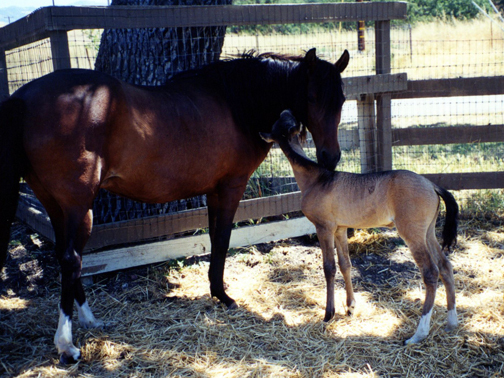 He’s in the hospital now––Alamo Pintado Equine Medical Center––which I consider the best equine hospital anywhere. I thought for sure they’d be able to fix him. They’re so great; they can do anything. Barry spent three or four hours over there the first day with very skilled vets swarming around the horse, doing high powered ultra sounds and who knows what else. Teco’s illness didn’t add up. There were so many parts to it. It must have been brewing for a while. The vets did say that it wasn’t because he was premature. If it was that, it would have shown up years ago. Tecolote is resting comfortably in the hospital now, undergoing treatment. The pneumonia triggered a bunch of things. I can’t write them all down. The vet said so many things; my mind’s a blur. And I’m crying. It’s his heart. It’s beating at twice a normal speed; it’s enlarged. Fluid is accumulating. He still has pneumonia, but they can’t give him more antibiotics now because his digestive tract is messed up. 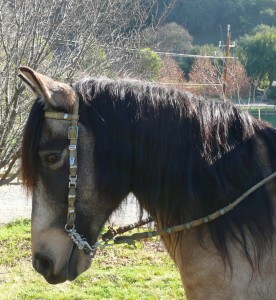 If they can stabilize his heart so that he’s well enough to come home, no one will ever ride him again. 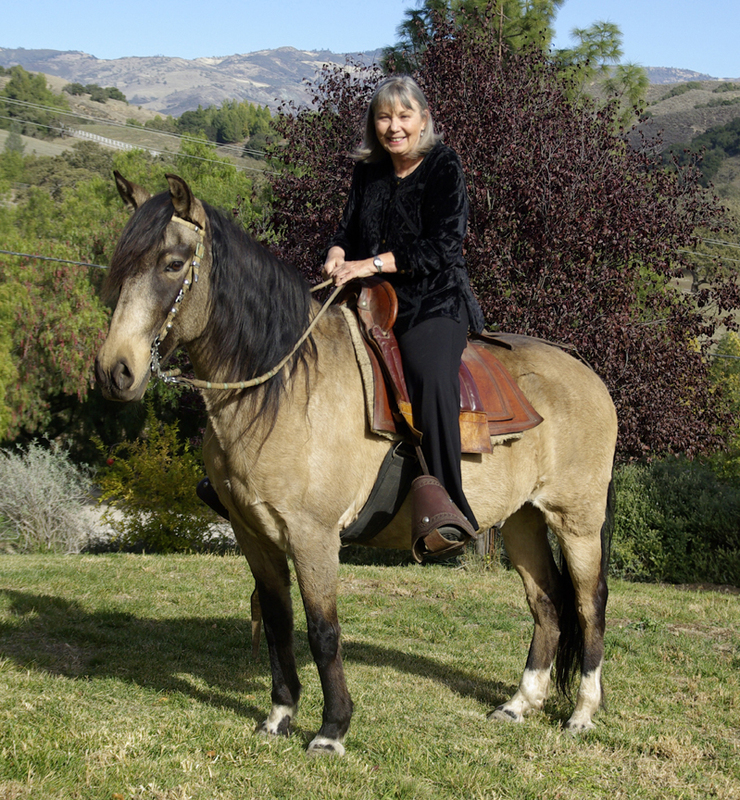 Riding a horse with a bad heart isn’t a good idea. If they can’t stabilize him . . .
Horses are heartbreakers. Animals are heartbreakers. People are heartbreakers. If you engage in the world, if you fall in love and love, you open yourself to all the pain the the universe. We’re mortal. Those we love are mortal. They die. We’ll lose them, and we will feel pain. Tecolote’s fighting the battle of his life now, doing it in his calm, gentle way. Even the vets are exclaiming about what a kind, patient horse he is. I want to share this video with you. 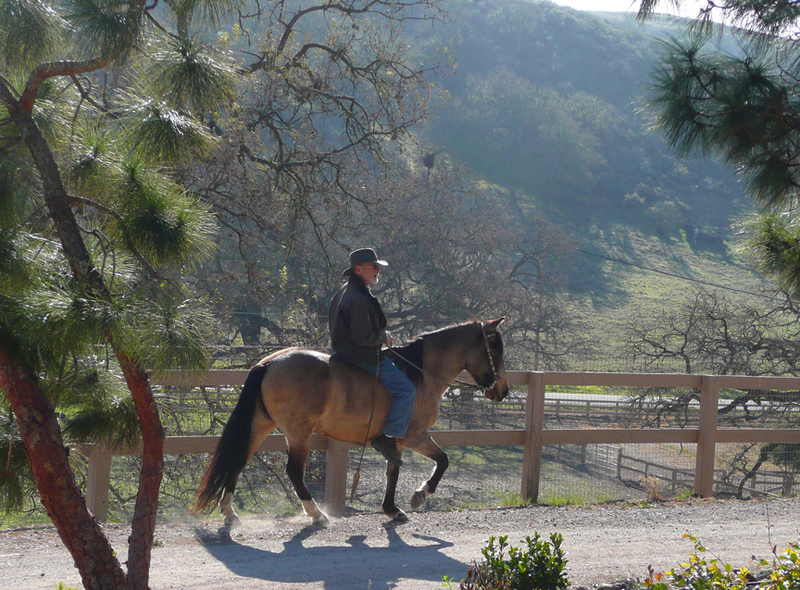 It shows some photos of me riding Tecolote. I didn’t realize when we took the photos that that ride would be one one my last with my boy. The absolute last ride was when I got on him and rode him slowly down to our arena a few days ago. He coughed almost every step and didn’t want to move. He did though, in his plucky way. I got him to the end of the arena and thought, This horse is sick. I’m taking him in. When I got back to the barn, Teco put his head down and fluid poured from his nostrils. That was our last ride together. Please think of him as he fights to live. 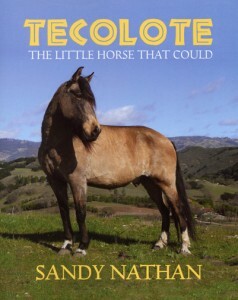 Tecolote, the little horse that could.